Counterfeits and piracy: Watch out if using any of these websites! 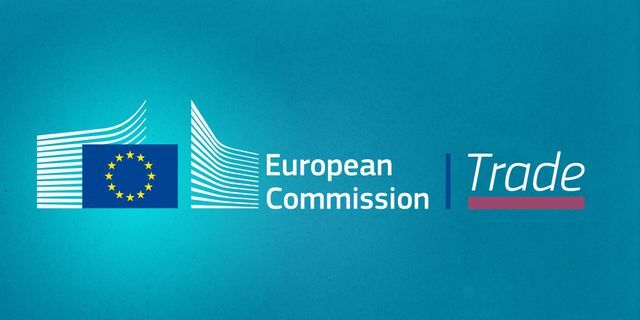 The European Commission published its Counterfeit and Piracy Watch List (Watch List) earlier this month, similar to the US Trade Representative's Special 301 Notorious Markets List, naming both websites and physical marketplaces outside of the EU that enable, facilitate or benefit from counterfeiting and piracy. Global e-commerce platforms such as EVO Company Group (Eastern Europe), Xxjcy.com (China), Naver (Korea) and Snapdeal (India) have all been named as offenders. The Watch List specifically excludes Alibaba's Chinese e-commerce websites (Aliexpress.com, Tmall.com, Taobao.com and 1688.com), despite comments during the course of public consultation regarding concerns that its various platforms offer significant volumes of allegedley counterfeit goods online - especially in respect of fashion, sports and creative goods. The Watch List highlights that Alibaba's exclusion, among other big names, is mainly due to its: (i) willingness to co-operate openly with stakeholders; (ii) recent efforts to enforce IPR protection and take-down requests; and (iii) status as a signatory tothe Memorandum of Understanding on the online sale of counterfeit goods. The e-commerce giant had racked up US$30.8 billion during the "Singles Day" (11th of November) sales in China and has been leading the way for other Chinese e-commerce operators to adhere to the government's recent drive towards enhancing intellectual property protections. The incoming PRC E-commerce Law will take effect from 2019 as the first comprehensive law regulating e-commerce operations in China (see our Law-Now on this), whilst new courts have also been established in several cities solely for handling internet-related cases; in Beijing's Internet Court, entire cases can be conducted online due to its 24 hour service. Greater accountability is being placed on e-commerce operators to ensure that they cannot turn a blind eye to its vendors' illegal practices on their platforms, and the majority of big e-commerce players have implemented their own take-down and intellectual property protection policies. However, the enforceability and effectiveness of these policies hinge on each relevant jurisdiction’s regulations on e-commerce operator liability; differing laws on whether platform operators require “actual knowledge”, “reasonable knowledge” or stricter regimes of compulsory preliminary action can be a headache when dealing with cross-border e-commerce. In addition to e-commerce platforms, listed in the Watch List are a host of other online sources offering copyright-protected content including cyberlockers, stream-ripping websites and BitTorrent/peer-to-peer websites, whilst it would be recommended to give the listed physical marketplaces a miss if visiting countries like Argentina, China, Korea and Mexico. Intellectual property infringements are a scourge on the European economy, decreasing investment and government revenues, and killing jobs in our creative and innovative industries. They also pose a significant risk to our citizens who often simply do not know whether what they are buying is safe or not. Furthermore, the link between counterfeiting and organised crime poses a major threat to our society. This Counterfeit and Piracy Watch List is part of our broader effort to ensure that European companies can operate on a level playing field when trading outside the EU’s borders, and that EU consumers are safe.